The Russia-Islamic World strategic vision group "the Russia-Islamic World" started its meeting on Monday in Dagestan under the chairmanship of Tatarstan President Rustam Minnikhanov, will discuss issues of countering extremism through education. 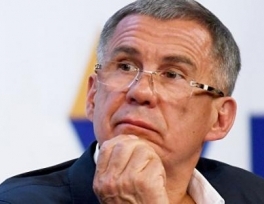 On Monday, Minnikhanov arrived in Makhachkala with a working visit, in the framework of which he also plans to discuss the development of interregional cooperation with the head of Dagestan, Vladimir Vasilyev. 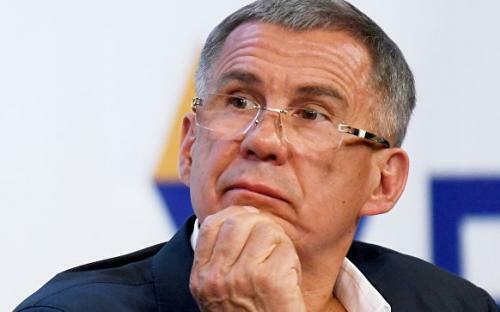 “Rustam Minnikhanov as chairman will hold the 4th meeting of the Russia-Islamic world strategic vision group. The main topic of the discussion is“ Countering extremism through youth education. ”A concrete proposal aimed at fighting radicalism among young people is proposed Muslim Academy of the future leaders on the basis of the Bulgarian Islamic Academy, "- said in the statement.